Proud | Have kids, they said. It'll be fun, they said. Ah, technology. It’s always changing, always improving. Though we still don’t have the floating cars that Beyond 2000 promised us, we aren’t doing too poorly. When Princess started school back in August, I purchased, as part of her basic stationery pack, a USB stick. To be perfectly honest, I had no idea why. 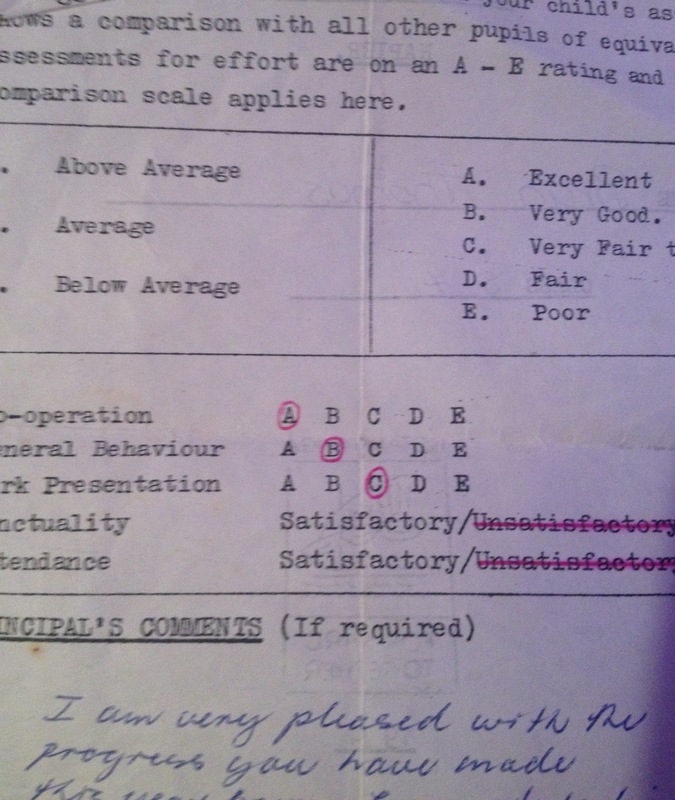 Today I found out – it was handed back to me, containing Princess’s school report. Or, her “End of Year Learning Journal”, to be precise. 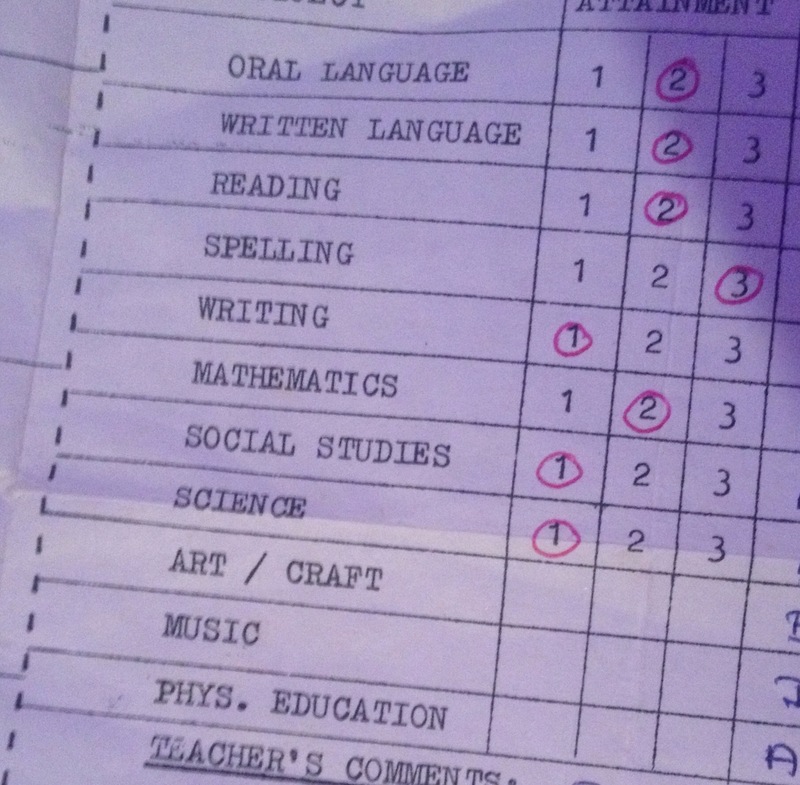 Gone are the days of paper school reports, it seems. This is 2014, and this is, apparently, how we do it. I see the definite advantages to providing school reports on a USB stick – flashbacks to school and trying to come up with creative ways to hide my report from my parents. My friend in High School lit hers on fire, I was highly impressed. Her parents, not so much. There are disadvantages as well – my dear friend who, at the ripe age of 64, looked at her USB stick today with a puzzled expression and declared she had no idea where to put it. Nevertheless, I plugged the End Of Year Learning Journal into the computer and had a look-see. I’m so glad that, of everything major happening in her life, her biggest and most exciting thing is walking 200m down the road to the local store. What can I say? That’s my girl. She is doing well in Mathematics, though it did mention she is unable to “Read 1/2 and 1/4 and match them to a fraction diagram”. I will let that slide, though – I was in a chicken fast-food place last week and the woman in front of me ordered a (and I quote) “One-slash-four chicken, please”. Suffice to say, that lady wouldn’t be passing Year 1 mathematics either. Overall, it seems Princess is doing superbly well at school, and her teacher comments that her “sunny disposition and happy smile make her a pleasure to teach”. Oh, gush. Proud Mumma. Buy that teacher a cider. And, of course, it wouldn’t be Princess if she didn’t have the last word. “At school I like to play with my friends. Next year I’m going to work hard to get my wiggly teeth out”. Aim high, my Princess. Aim high.